Hey guys! Just finished making a nicely detailed 2 player map for your enjoyment & yeah hope you enjoy lol, tell me what you think. Remember! The screenshots are only samples... It plays/looks better in game duh! The unzipped map is 130 kb, you can download the map below in the zip archive. (which is about 75kb). 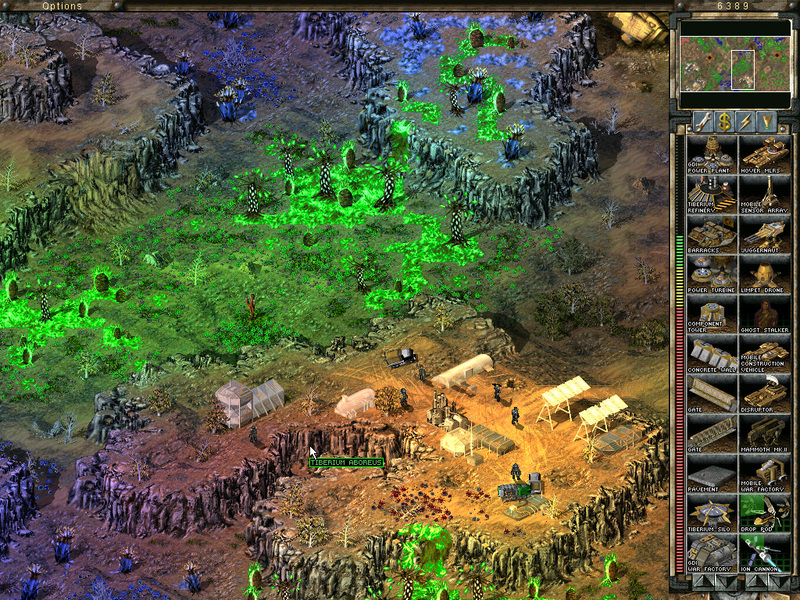 This map will be futurely included with my mod 'The Tiberium Future; A Dying World'. Map Name: Ionic Frequency (2). creatures that lurk, the map also has some weed isolated by cliffs near the players for an easily accesible supply, tried my best to make this map balanced; each play location has its entrances, & each location has a 'tournament' style supply of things yet at the same time not too much. Also trucks drop crates. You can find one in the abandoned city, & another one in the small mutant town, so go get hunting! You will also have to watch out, after a long while on the map a rather long ion storm will trigger, & quite a powerful one. 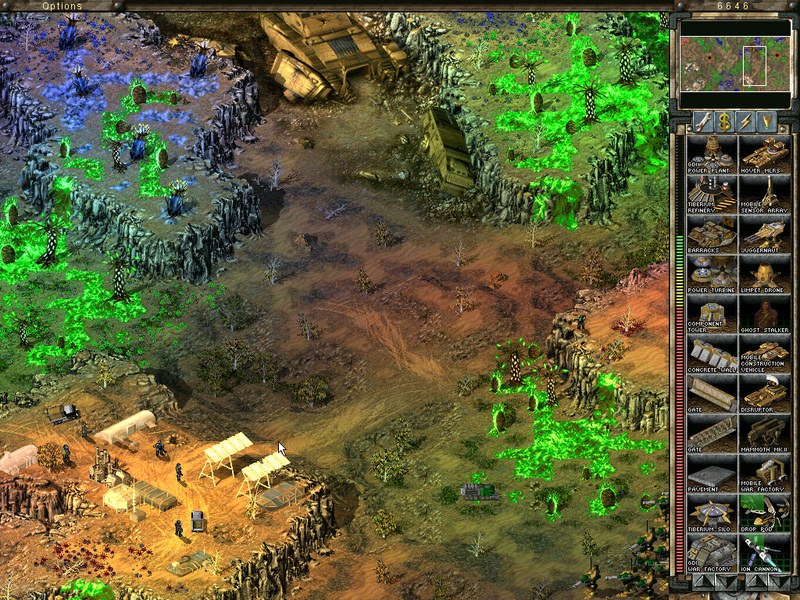 This sector is heavily mutated by tiberium & attracts many ions, thus it is a key place for extremely dangerous ion storms. last but not least, Enjoy!! Watch out for ion storms! 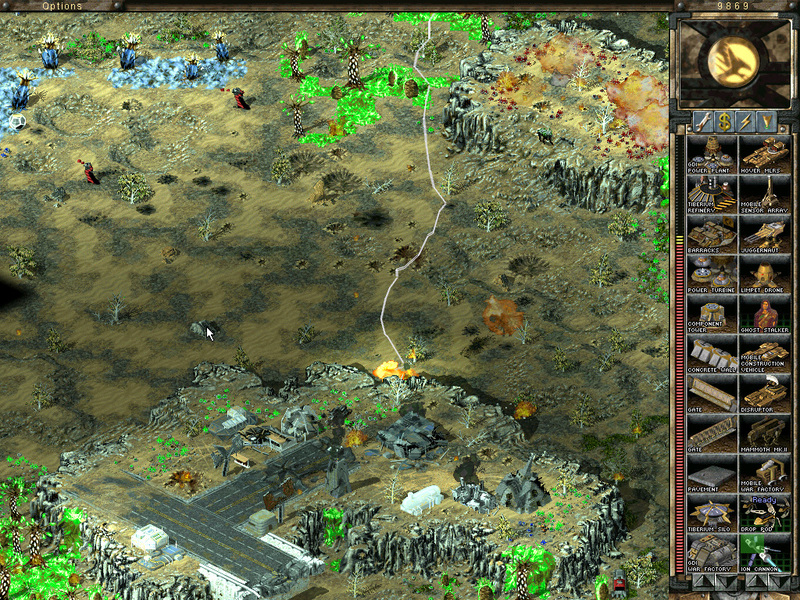 This screenshot shows you some the great lighting & detail, plus some red tiberium. This file contains the map. Map requires Firestorm expansion pack to play. A better view of the small mutant town, also showing off some of the great detail & mutation to the top left of the image. Brilliant, ofcourse! One vote for spotlighting. lol, my bright ion storm? Consider the aesthetics of storyline. haha, well alot of the time i write these huge storylines from the top of my head, although i did have a preludical thought to why i would make the ion ambient a lil more bright feeling. I vote for spotlight too... Great looking map! Well j4m3s, map looks great but the AI seem useless. Tech 8 AI level 2 and only thing that was killing me was the storm. Anyone else have AI attack them or is it possible my AI file messed up? My vote would be to spotlight it as a online map. or is it possible my AI file messed up? Another vote to spotlight that map. Hmm, well the enemy did have plenty of room to build *as does players* however i also see that it didnt seem to attack me often (tech10) although it did attack yea. I don't think what this map is that great-it's not working on normal TS! It should also run on TSTW.. 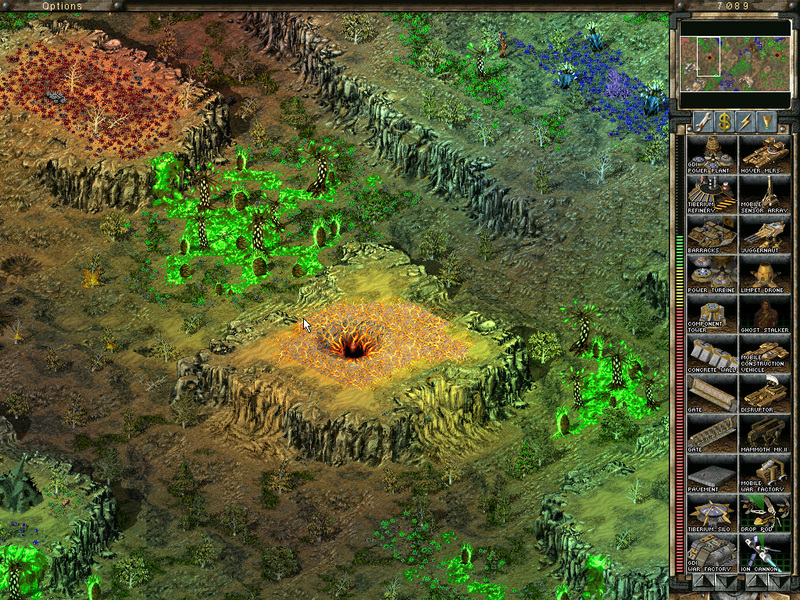 Thanks, looks like a firestorm map because - surprise surprise it uses crystal LAT from the expansion, the green stuff. Hehe, GDI never learn do they? Yes, it is a bit powerful in the mod, if enough complain ill fix it. & actually the super weapon is completely seperate from the games ion storms, so dont worry about that.